Rockburn Wines is a key producer of seven varietals. 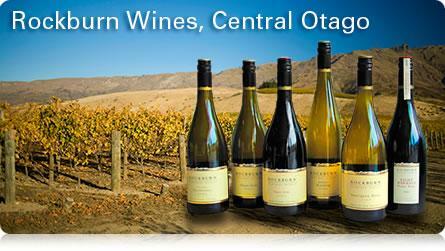 Rockburn takes its name from the rugged rock-strewn, burn-scarred landscape of Central Otago. The climate and conditions here are extreme but so is the local passion for wine, in particular Pinot Noir. The fruit from Rockburn's carefully sited vineyards blend in harmony to yield a pure expression of Central Otago. As well as award winning Pinot Noir, Rockburn produce a full range of high quality white wines.